A man has been jailed for more than five years after he robbed a 62-year-old man at knifepoint. At around 9pm on Tuesday 17 July, the victim was walking along Gordon Avenue, Portswood when two men forced him into an alleyway. He was threatened with a knife and forced to hand over £40 in cash before the men made off. Scott Quinn, 43, of no fixed address, was subsequently arrested in connection with this incident. He was charged with robbery, being in possession of a bladed article and driving without insurance. He appeared at Southampton Crown Court for his first hearing on Thursday 6 September where he pleaded guilty to all three charges. He was jailed for five years and three months. 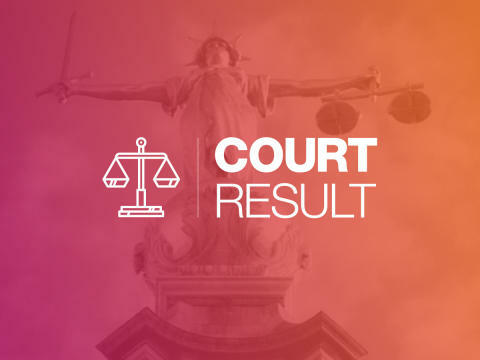 Police Staff Investigator, Claire Linton from the Western Investigation Team, said: “The victim of this case was shocked and shaken by the events caused by Mr Quinn. Whilst going about his daily routine he has been placed in fear, which is something that he is never going to be able to forget. “Officers worked through hours of CCTV footage as part of this investigation, and I would like to thank the public for their help in enabling us to identify Quinn following our CCTV enquiries. The investigation into the second offender involved in this incident is ongoing.